1" swing check, flapper, good for air or low pressure water systems. 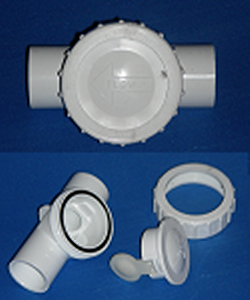 Reversible, cleanable and repairable check valve. Forward pressure is good to 100psi. Reverse pressure should be fairly low for this valve. NO METAL, safe for saltwater and reef systems.